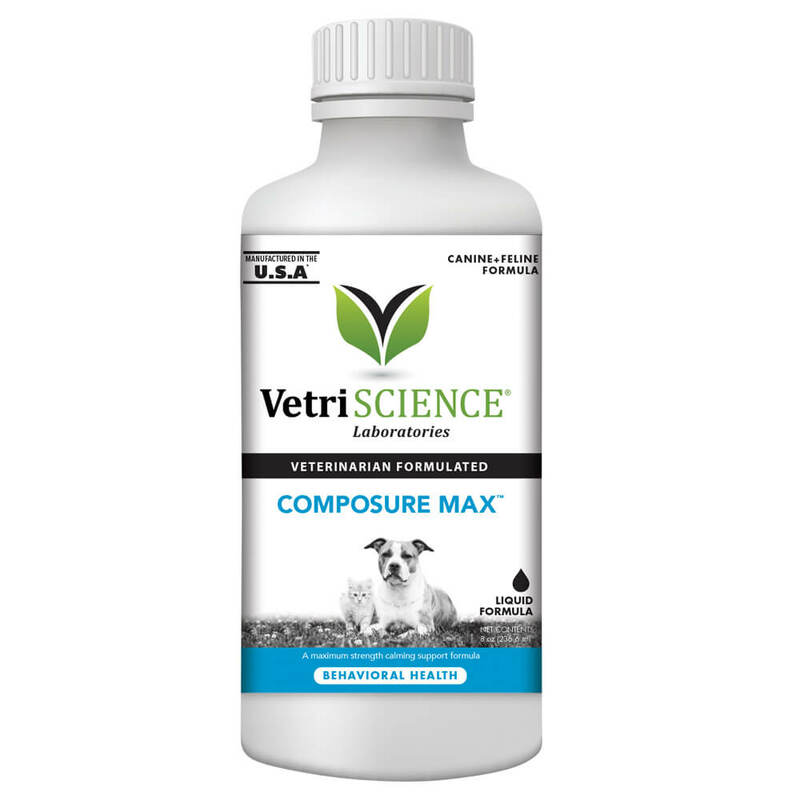 Composure™ Max Liquid is for cats and dogs exhibiting nervousness, hyperactivity, anxiety or responding to environmentally-induced stress. It is an advanced formula that contains a combination of factors, not found in other calming formulas, that supports balanced behavior. Cats: Give 1/2 tsp daily. Under 25 lbs: Give 1/2 tsp daily. 26 - 49 lbs: Give 1 tsp daily. 50 - 75 lbs: Give 1.5 tsp daily. 76 lbs and Over: Give 2 tsp daily. During times of increased stress: It is safe to double the above amount as needed. This product can be used either as needed for immediated support or on a daily basis for ongoing support. cornstarch, glycerin, guar gum, lecithin (from soy), maltodextrin, non-fat milk solids, silicon dioxide, sorbic acid, sucrose, vegetable oil, water. If animal's condition worsenes, or does not improve, stop product administrations and consult you vet.